It is unclear who the man with the blue quilted sleeve is, making this painting all the more intriguing. A number of possibilities have been suggested by art historians and critics throughout the centuries. Ariosto was an Italian poet who lived between 1474 and 1533. He is best known for his romantic epic entitled 'Orlando Furioso', which explores the adventures of Charlemagne, king of the Franks and Roman Emperor during the ninth century and is considered the father of modern Europe. Scholars have speculated that Titian's Man with a Blue Sleeve could be Ariosto based on its comparison with later portraits of the poet. Of course, these comparisons are inconclusive. The wealthy and influential Barbarigo family - which included two Venetian doges - had been a patron of Titian's teacher, Bellini. After Bellini's death, they transferred their patronage to his talented pupil and became life-long friends with the young artist. Some scholars believe that, because of this closeness, Titian's portrait of the Man with a Blue Sleeve could be a member of this family. 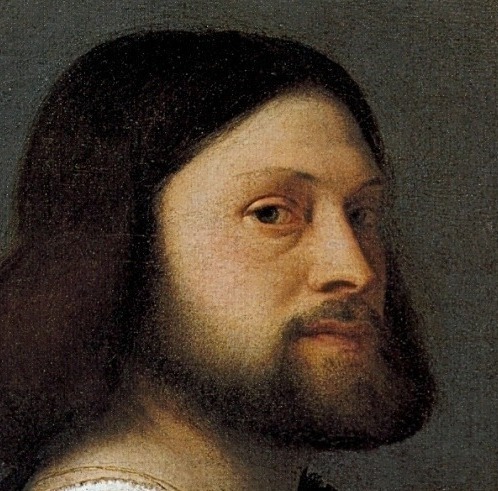 Some scholars believe that this famous portrait could be an image of none other than Titian himself in his late twenties or early thirties. 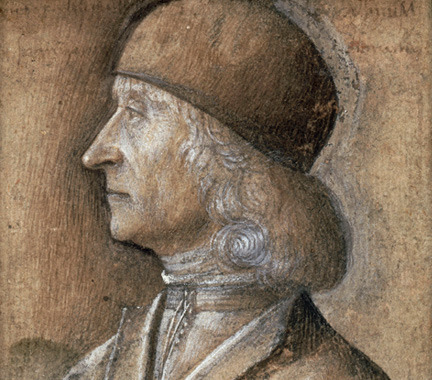 Although not out of the realm of possibility, it is difficult to determine if this is the case because such information would be based on his likeness in other images, and many of these images feature him in his old age. Since scholars can only speculate at this portrait's subject, they can likewise only speculate at its inspiration. What remains apparent, however, is that the Man with a Blue Sleeve's similarity to paintings produced by Giorgione. In fact, if this painting had not been signed by Titian, it would probably have been attributed to Giorgione because of its remarkable realism. It is lalso possible that this piece was commissioned by the man depicted, though no records have survived to corroborate this theory. 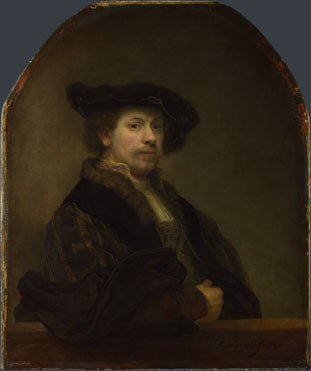 Although historians are not certain of Titian's inspiration for this work, they do know that the 17th century Dutch painter, Rembrandt, used Titian's Man with a Blue Sleeve as the template for his Self Portrait at the Age of 34. As previously mentioned, Titian must have taken considerable inspiration from Giorgione to produce this work. 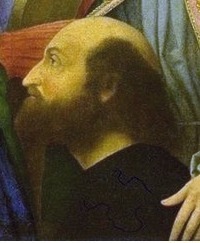 Titian, however, has taken Giorgione's techniques a step further by creating a slightly unconventional position for the sitter and causing his bright blue sleeve to seemingly billow off of the page, competing with the sitter himself. 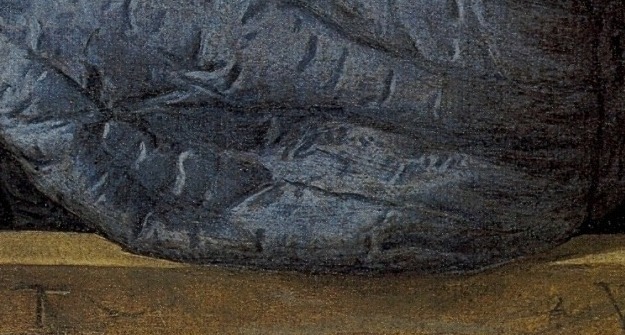 Thanks, in part, to the careful attention to the sleeve's intricate stitching, Titian has captured the crinkling and creasing of a sleeve that is practically flowing off the canvas and into the viewer's world. By highlighting the sleeve through detailed painting as well as the position of the sitter, Titian helps create an overall mood of self-assurance bordering on arrogance, which seems somewhat unusual for a portrait, when sitters and artists generally try to produce images of people in their most flattering light. Perhaps the subject wanted to be portrayed as exactly that - confident with a hint of superiority. Interestingly, much of this painting is in shadow, with the light source coming from the front, left side, casting light primarily on the sleeve and the man's profile. This lighting technique helps to create that soft glow Venetian art is so famous for. 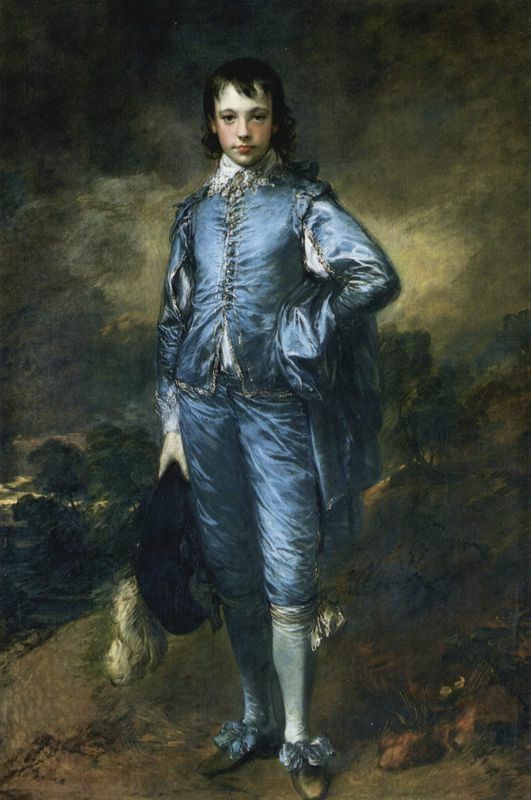 The unusual angle of the light coupled with the angle of the sitter keep the majority of this painting in shadow, only serving to further highlight the sitter's haughty expression and even haughtier blue sleeve. Portraiture was a relatively new art form when Titian produced this painting. Usually, paintings of people depicted those who had long been deceased, such as saints and Biblical figures, rather than those currently living. That began to change dramatically around the time of the Renaissance, when people felt a greater appreciation for all things earthly and mortal. 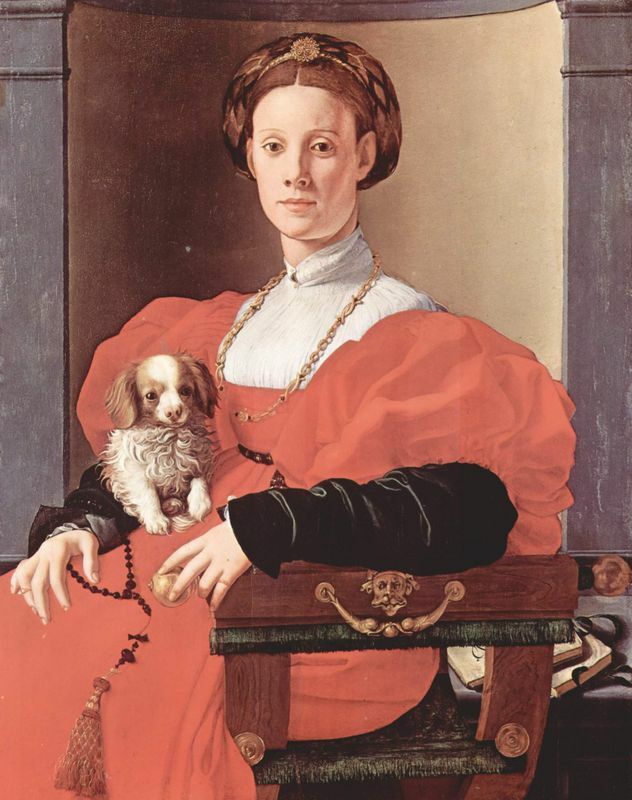 Initially, portraits were meant only to depict a person's physical features and perhaps their station in life, often portrayed through their clothing or a prop they held. This too began to change as the Renaissance progressed and sitters and artists tried also to capture the personality of the sitter. The man in Titian's portrait could defiantly be seen as proud, bordering on arrogant. He gazes at the viewer with a strong expression and his posture and arm position indicate that he has immense confidence and perhaps enjoys showing off his finery (such as the immaculate blue sleeve). In fact, his posture hints at his desire to turn away from the viewers - it is almost as if he is in the process of repositioning himself with his back to the viewers. Very little is known about this painting's critical reception during Titian's life and the ensuing centuries. Many of his contemporaries, such as Michelangelo, criticized Titian's failings when it came to drawing, though this painting, it would seem, met no such criticism. 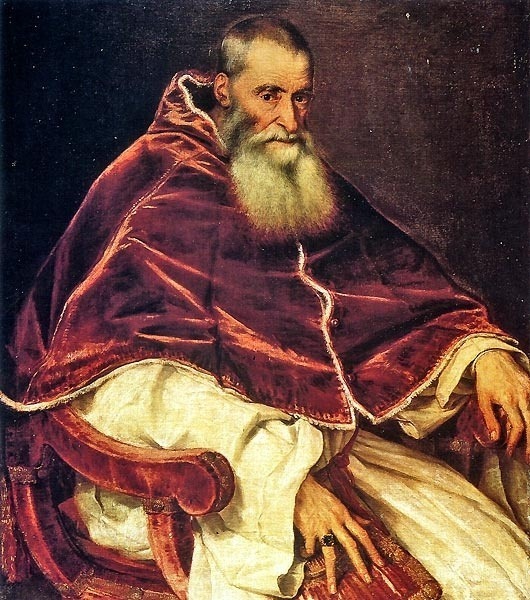 Presumably the portrait was revered by many and when it was purchased by the National Gallery in London in 1904, the New York Times referred to it as "the celebrated picture by Titian. " Today, the portrait is still housed in the National Gallery in London where visitors from around the world can admire its mysterious subject and his self-assuredness. The Man with a Blue Sleeve was housed in the collection of the Earl of Darnley from an unknown time until 1904, when it was purchased by Sir George Donaldson for £30,000 ($150,000) with the help of a number of donors, including William Waldorf Astor, Lady Wantage, J. Pierpont Morgan, Alfred Beit, Lord Burton and Lord Iveagh. 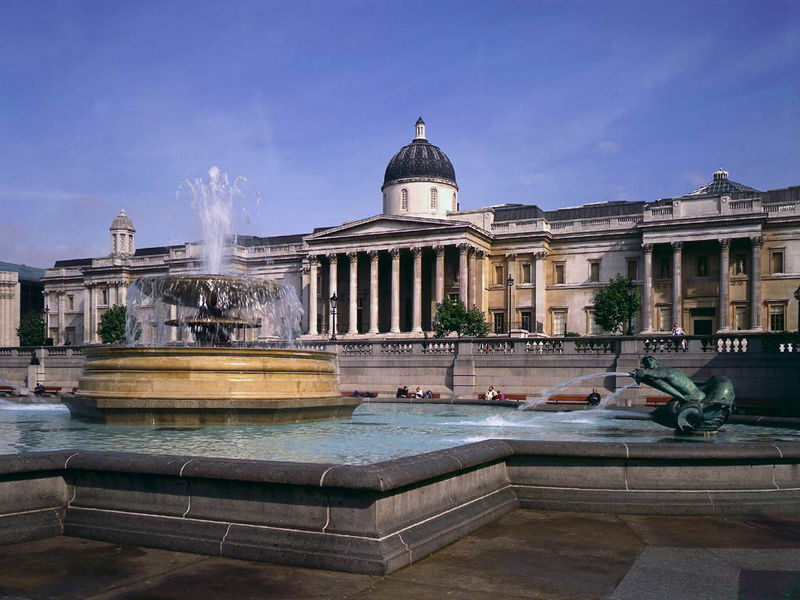 Donaldson then turned it over to the National Gallery, where it has remained ever since. The Titian who painted Man with a Blue Sleeve was young and greatly influenced by his friend and often collaborator, Giorgione. Titian's work from his early career is wildly realistic and somewhat audacious in his bold use of color and attitude, as displayed through this portrait. During his career that spanned about 60 years, Titian firmly established the school of Venetian art and the High Renaissance in Venice. 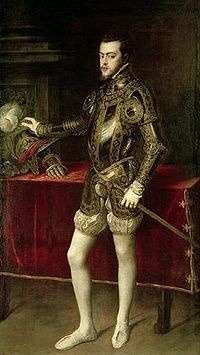 His almost uncanny understanding and handling of color won him commissioners and friends from among the most powerful rulers in Europe, such as Emperor Charles V and his son, King Philip II of Spain. Titian was a hugely prosperous and prolific painter, producing portraits, mythological works and religious scenes with apparent ease. Painted during the dawn of the High Renaissance in Venice, Man with a Blue Sleeve, with its subject with personality and bold use of light and color, is truly representative of its art period. The greater Italian art scene during this time was engulfed in a sort of ideological feud between the Venetian style of art and the Florentine. Naturally, Titian championed Venice, the school that emphasized a paintings appeal to the senses over its technical correctness. Painters like Michelangelo and Raphael were entrenched in the Florentine side, which preferred superior draftsmanship to pleasing colors and textures.